Get the perfect fried egg, you can even use it for the perfect little pancake. resistant to high temperatures, non-stick surface easy to release. Easy to clean and easy to learn and can still be turned unlike some silicone egg rings. 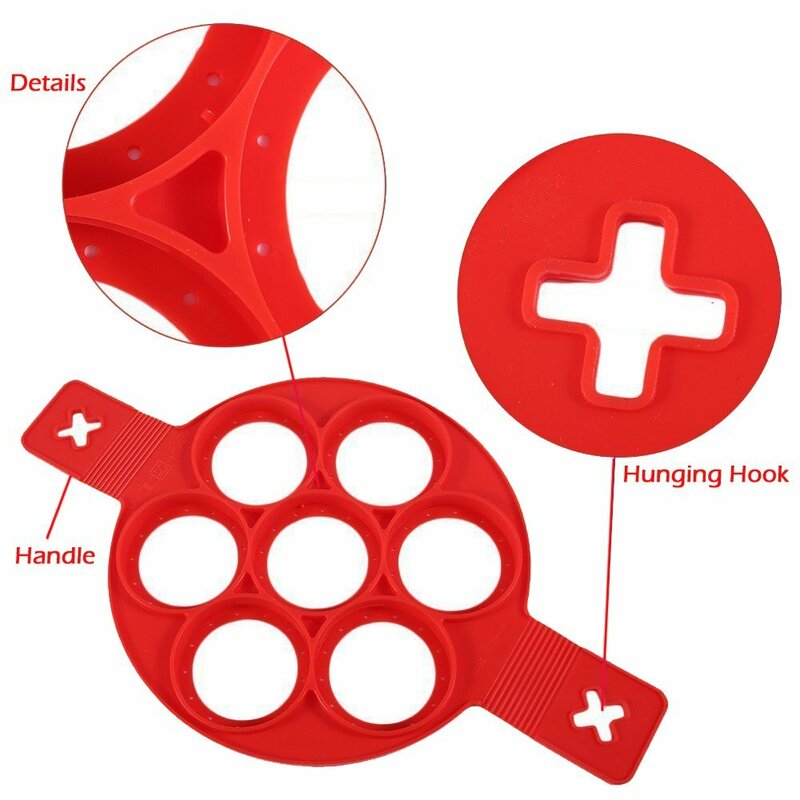 Excellent design for cooking, making pancakes, fritters or fried. Handle design, easy to control and it is so easy to store. tasteless, non-toxic, dust-resistant, durable, non-impregnable and easy to clean. It feels good, fine details.